Popular characters from the Minecraft video game. Wave 7 6-pack contains 6 individually blind-packaged randomly picked mini-figures. 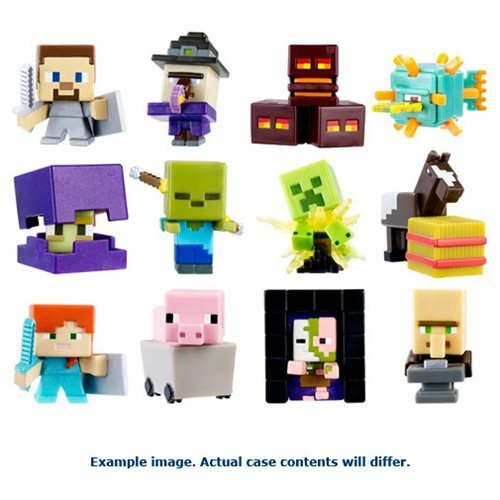 Build a surprisingly blocky world with Minecraft Collectible Figures Singles! The series features a number of popular characters from the Minecraft video game. Each individually packaged mini-figure stands about 1 1/2-inches tall. Ages 6 and up.